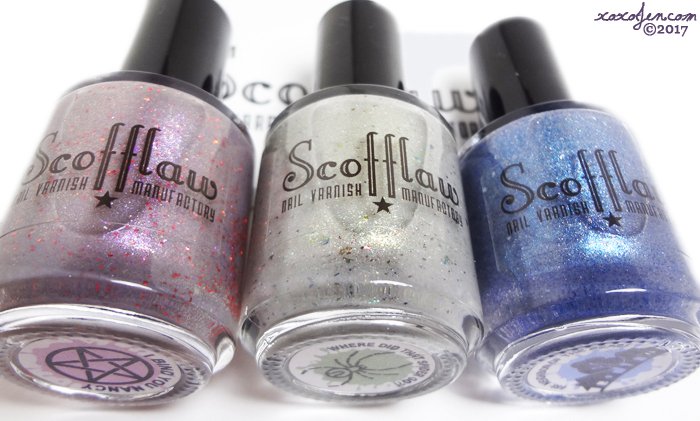 Launching on Friday, October 20th, at 7 pm central, is Scofflaw's all new Halloween Trio which is Limited! 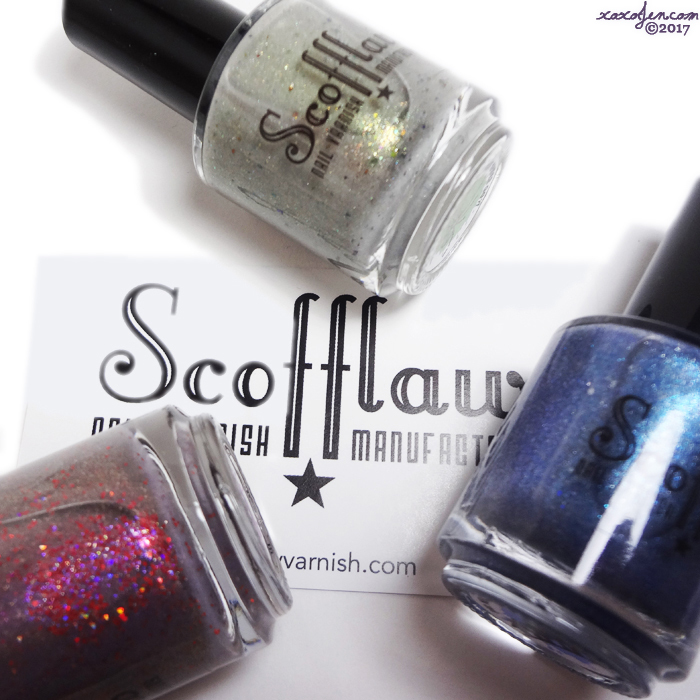 As a 'treat' if you buy the set of all three polishes for $30, you will get free shipping within the US! 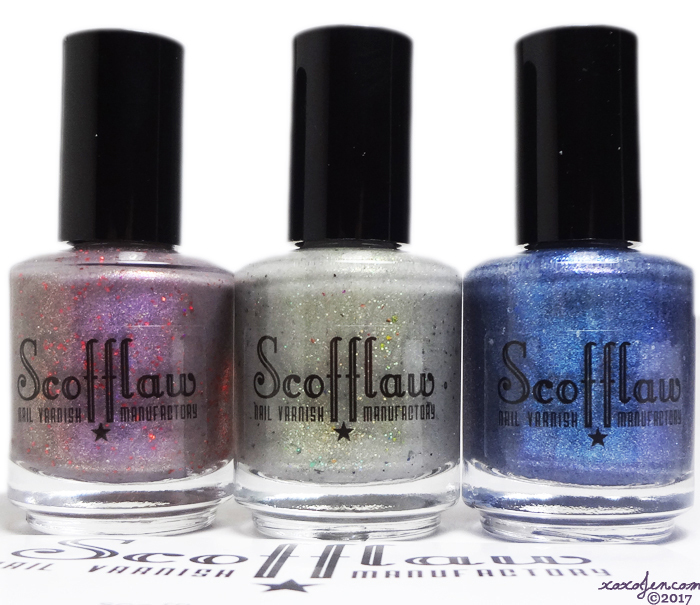 Are you ready to see these special Scofflaw polishes?! Closer up, sharper image and a sneak of the labels! And just look how they differ at different angles in the same light! 668: Neighbor of the Beast - a grey shimmer crelly packed with blue and silver sparkles, blue-purple iridescence, and multiple shades of blue flakes and shimmer highlights. I Bind You Nancy - a grey shimmer crelly with cherry red metallic micro shards, violet sparks, and warm pink-carmine sparkle flecks and highlights. Where Did That Spider Go?! - a grey shimmer crelly with copper-green multichrome flakes, scattered holo, and packed with golden-copper-green shifting shimmer and flash. I'm loving this trio! I cannot choose a favorite, but I will say that last one has really caught my eye for how unusual the color is. The formula on all three was good, opaque in two coats and easily removed when it was time. 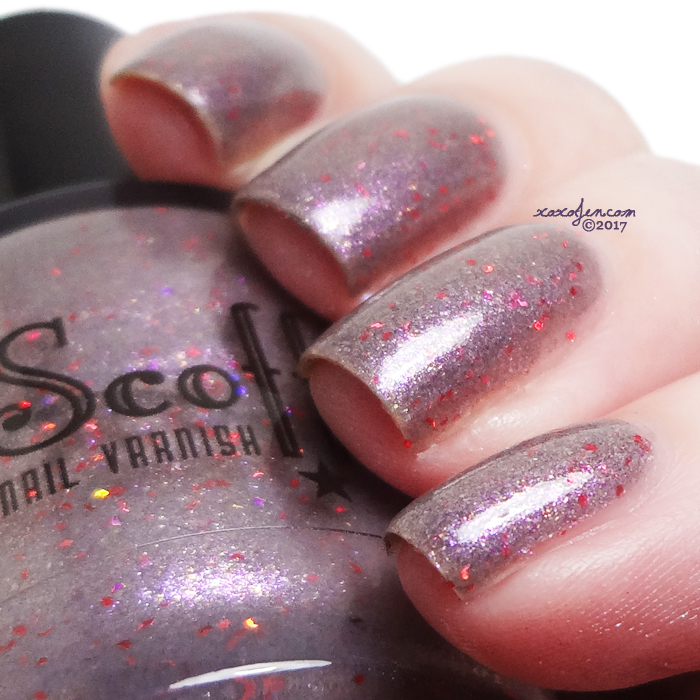 Mark your calendar for October 20 at 7pm Central so you can get yours at the Scofflaw Varnish shop!